Iranian Intelligence Minister Seyed Mahmoud Alawi announced on Tuesday that the Islamic regime had arrested spies near its Bushehr nuclear reactor, as the country grows ever more paranoid about attempts to sabotage its nuclear program. The announcement, made in the city of Bushehr, was reported by the Iranian semi-official Fars News Agency. "Thanks to the vigilance of the Intelligence Ministry forces who monitor the moves of the foreign intelligence services, some agents who intended to carry out surveillance and intelligence gathering for the foreigners in Bushehr province have been identified and sent to justice," claimed Alawi. The Iranian minister hailed the province as being "the economic, industrial, military, trade and nuclear hub of the country," and as holding "a special position at the national level." 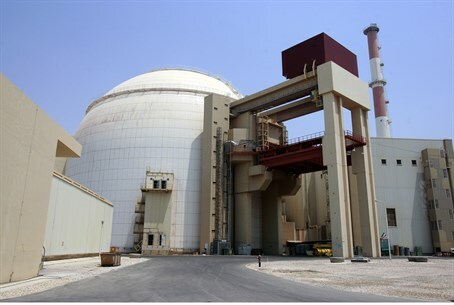 Iran is getting more and more vigilant about its nuclear program, with Fars News Agency adding that last month Deputy Head of the Atomic Energy Organization of Iran (AEOI) Asqar Zarean said several similar plots had been foiled. In August, Ali-Akbar Salehi, head of the organization, claimed that the West including “the Zionist regime” sought to sabotage Iran’s nuclear industry. Early last month another arrest occurred at Bushehr, when a Ukrainian national who worked as an "expert" together with Russian contractors at the site was apprehended for suspected sabotage plans. A massive explosion rocked the secret Parchin nuclear facility early this month, in what was reportedly an act of sabotage. An in-depth report by Israel's Channel 2 indicated that a transport company may have been targeted by sabotaged as it brought hazardous materials into the facility. Iran is currently ahead of a November 24 deadline in talks with world powers over its nuclear program; just last Wednesday Iranian parliament chairman Ali Larijani said the talks should not disrupted by the "trivial issue" of how many nuclear centrifuges Iran would retain in the deal. Intelligence Minister Yuval Steinitz on Sunday warned the talks are moving in the wrong direction, particularly in terms of uranium enrichment that would allow Iran to keep the ability to create a nuclear bomb.